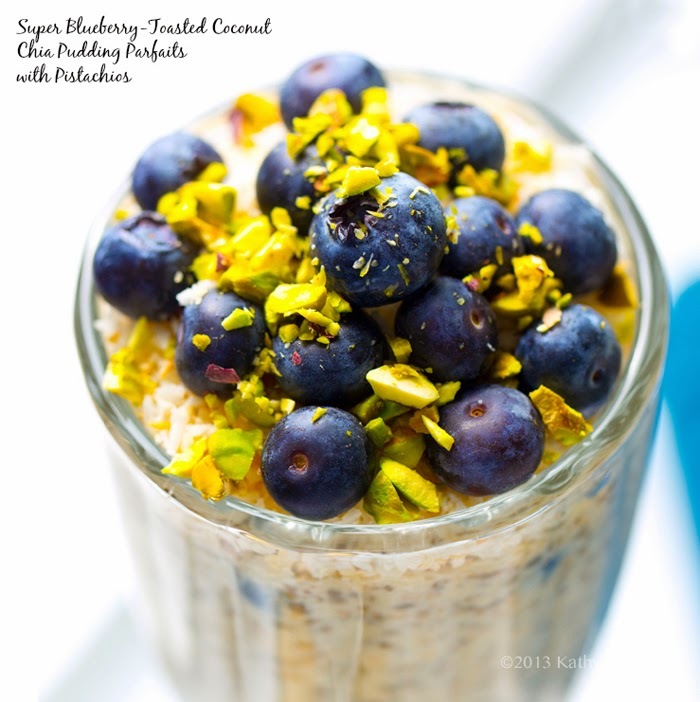 Super-Blueberry Toasted-Coconut Chia Pudding Parfaits. Feel Good. This food-focused Thanksgiving week is finally winding down and after all that warm and festive holiday comfort food I am now in the mood for some light, clean, antioxidant-filled, detox-aiding meals. Recipes like.. Green smoothies, fruit salad, chia seed goodies, raw almond milk, protein shakes, matcha green tea, coconut water, chopped salads, whole grain bowls and more. Lets lighten up together and enjoy a week filled with feel good food. 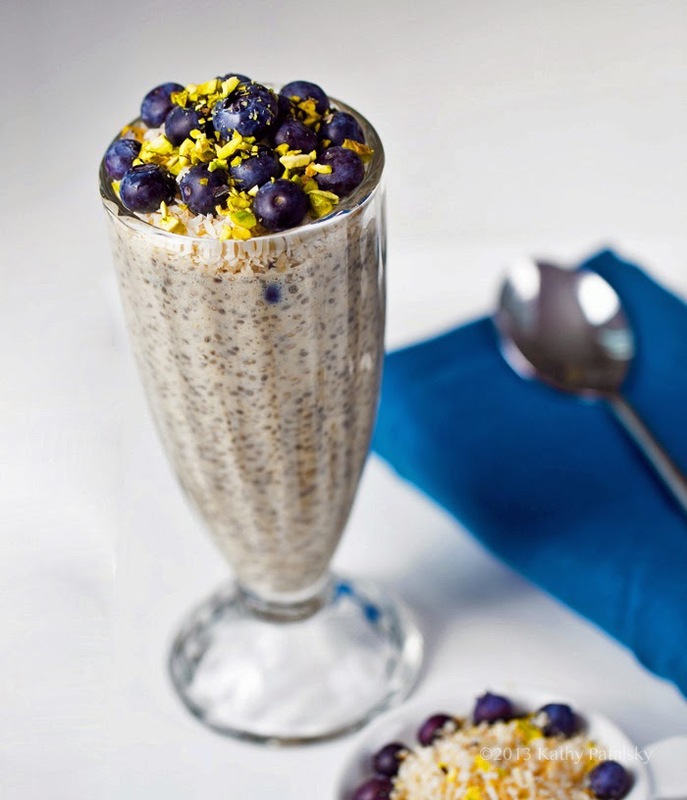 Blueberry + Chia. Two of my favorite go-to feel good foods in the morning: fresh raw blueberries and homemade almond milk chia pudding. So easy, energizing and delicious. This Blueberry Chia Pudding Parfait recipe is made beautiful and fancy with the addition of fragrant toasted coconut, a hint of cinnamon and vanilla and bright green chopped pistachios. Dive into THIS and feel your wellness soar..
Feel Good Parfait. Chia seeds are rich in fiber, omega fatty acids and more. They are excellent for digestion and detox. Blueberries are one of the highest antioxidant fruits out there and they not only taste amazing, but are super easy to include in a wide variety of dishes: salads, smoothies, muffins, pancakes, savor dishes and more. But today I keep my blueberries raw and easily add them to my usual vanilla chia pudding for a super blue spin! That touch of toasted coconut adds just enough island paradise appeal to each silky spoonful. Nutrition Reminder. Why eat blueberries every chance you get? Here are a few reasons!.. 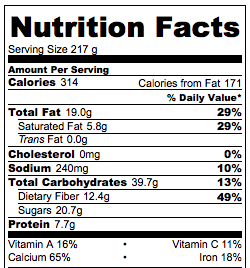 * low in fat + rich in fiber + rich in vitamin C & manganese. * packed with phytonutrients which may help reduce your risk of developing cancer, cardiovascular disease and more. * an easy snack, just rinse your berries and enjoy. * rich in anthocyanins that give the berries their blue hue. Anthocyanins are the major contributors to antioxidant activity in blueberries. Chia pudding. You have two options for the pudding. You can either blend the blueberries right into the pudding (in your blender) and create a fruit-infused pudding. Or you can fold them into the pudding whole as they bob happily between the suspended, plumped chia seeds. The duo of spheres kind of reminds me of boba tea! Without the boba. If you are a chia seed pudding newbie, please give this recipe a try! Chia pudding is such a fantastically easy + healthy breakfast recipe. For the non-dairy milk, you can use homemade raw almond milk for an even healthier end result. You could even try this recipe using CHOCOLATE almond milk for a sweet spin. yum. 1. About 6+ hours before serving parfaits, prepare the chia pudding. You can simply briskly stir all ingredients together or do my low speed blender method. I add the milk, vanilla, sweetener, salt and cinnamon - turn blender on to lowest speed. Slowly pour in chia seeds so they do not stick to the sides of the blender. Blend on low for about 2-3 minutes to jump start the chia seed plumping process. Blueberries: you can either fold in the 1/2 cup of blueberries or blend them right into the pudding. 2. Transfer your chia mixture to a small bowl or large jar. Cover and place int he fridge for at least six hours. About thirty minutes and one hour after placing in the fridge I like to give my pudding a few stirs to swirl the chia seeds a bit. This prevents them from clumping up at the bottom or top of the glass. This step is options, you can always do a brisk stir right before serving too. 4. 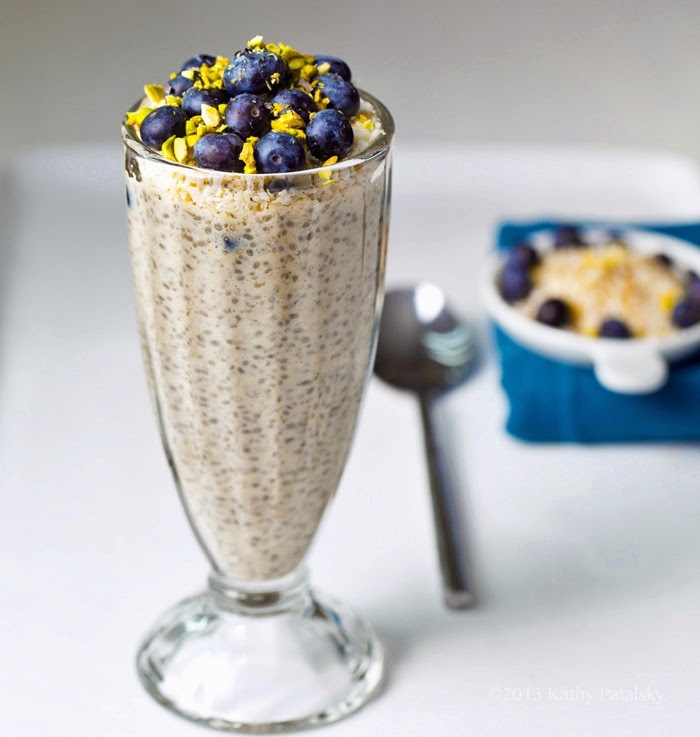 Add chia pudding to tall parfait glasses. You can stir some or all of the coconut right into the pudding or just layer it on top of the pudding in the parfait glass. 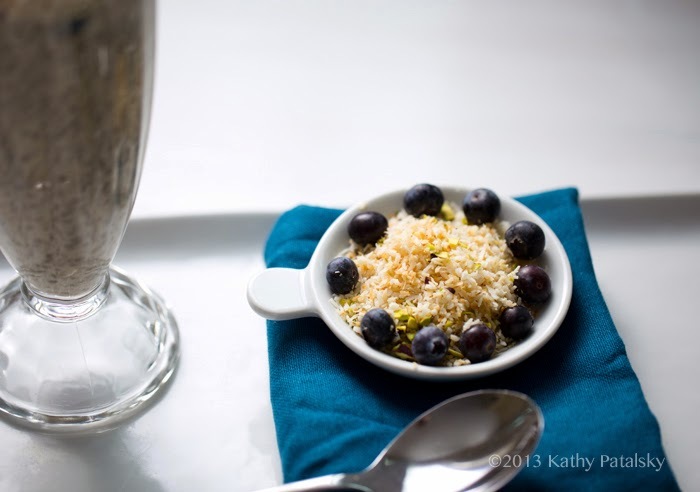 Top with the fresh blueberries, more toasted coconut and pistachios. I love to serve my chia pudding with a giant side bowl of extra blueberries, because you can never have too many blueberries on the table. I am also entering this recipe in the Blueberries Meet their Match recipe contest! The challenge was to combine blueberries with either banana, balsamic, rosemary or coconut. Since I adore the flavor combo of toasted coconut and blueberries, I kept things healthy and simple for this dessert or breakfast-approved parfait.